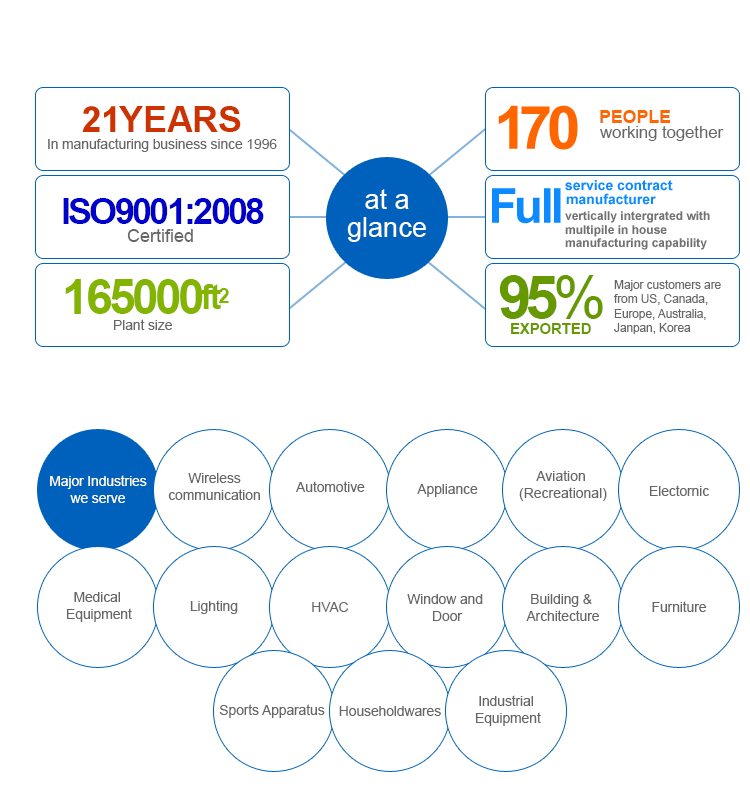 Meco is a contract manufacturer. From our manufacturing facility in Nanjing, China, we can provide our customers product with manufacturing process of die casting, injection molding, CNC machining, stamping, powder coating and assembly. Serving overseas customers since 1996, Meco built up a strong and experienced team of engineering, QC and project management, provides complete service from product design & development, to mass production and comprehensive logistic arrangement, we can satisfy our customers' various kinds of procurement strategies, and totally improve your effectiveness and competitiveness.